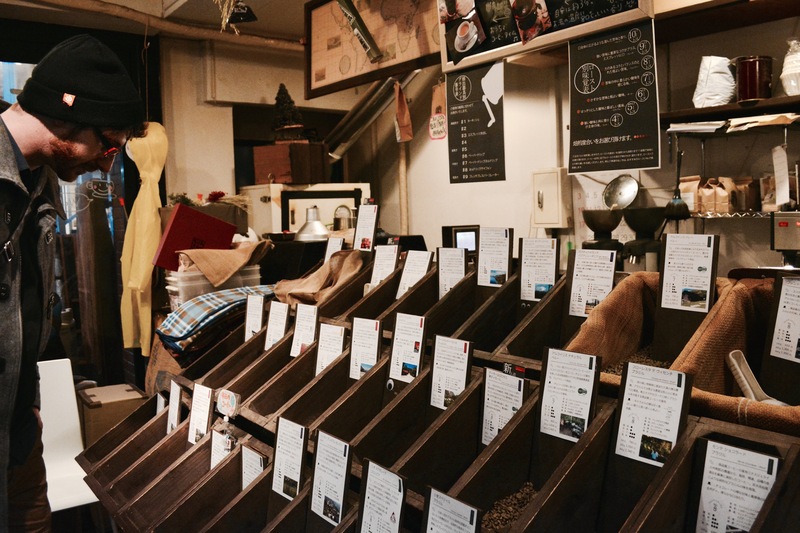 TOKYO – ‘Old school’ cooling technology has gotten a reboot in Japan, and proving that the best way to help the masses survive the heat may mean simply scaling up a tried-and-true idea. Portacool Japan has been importing large-scale evaporative coolers for the last three years as the exclusive Japan distributor of U.S.-based Portacool. The Texas company entered the cooling business in 1990 and has distributors in 56 countries. The machines work differently from typical air conditioning systems which use vapor compression or absorption refrigeration cycles, and allow the temperature of dry air to be significantly lowered at a fraction of the energy use. The cooled air is dispersed by a large electric fan. In extremely dry climates, evaporative air cooling has the added benefit of moisturizing the surrounding air. Portocool’s products are widely employed at U.S. military bases in the Middle East, as well as in Japan, from Okinawa to the main islands. At commercial facilities, they find homes in large garages, aviation hangars, warehouses, and open air buildings. Domestically, they have begun to find acceptance in domestic factories, indoor parking lots, and at agricultural facilities, says Portacool Japan managing general director Kazumi Sasawatari. “The cooling effect is much more gradual compared with permanently installed coolers that run on freon and other gasses, which tend to chill the air so quickly that people can become sick,” he says. After facing initial skepticism, the coolers are likely to see adoption for mass crowd cooling at theme parks, concerts, and at outdoor sporting events, he adds. But that may just be the beginning. Portacool makes a range of machines, from the tower-like Islander unit for patio use to the newest Hurricane 370 model. 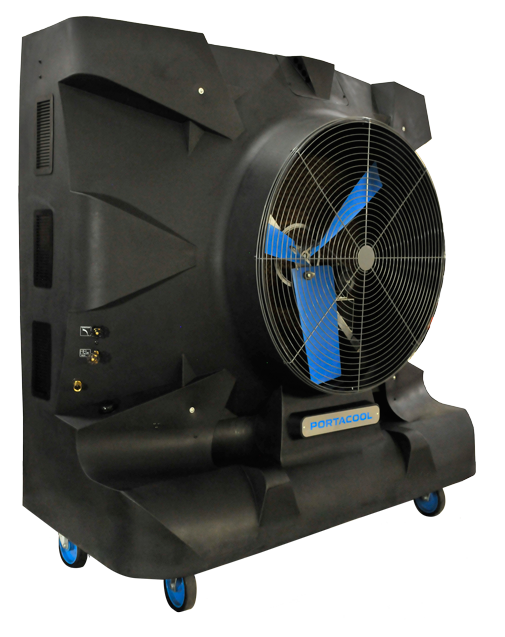 Touted as the most powerful variable-speed evaporative cooler on the market, the 236cm tall, 188kg device is equipped with a 284-liter water tank and capable of generating wind speeds of up to 56kph. It can effectively cool an area up to 580 square meters, meaning that just a handful of them would be enough to chill a sellout crowd at the Tokyo Budokan venue, which holds up to 14,000 guests. The only electricity needed comes from standard wall outlets, and powers the cooler’s fan, water pump, and switch. Waste heat generation from moving parts is almost nil. The Hurricane 370 sells for about $5,000 in the U.S.
Portacool Japan actively only markets the gear from spring to fall in when rising temperatures and the annual wet season combine to produce sweltering weather. Thus, for Mr. Sasawatari and his colleagues, the job of promoting the cooling gear is essentially a part-time gig. The company both sells and rents the machines.